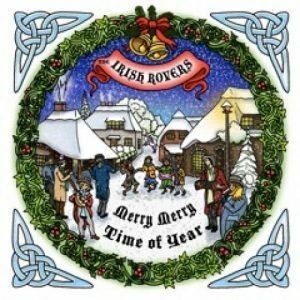 This 3 CD pack includes The Irish Rovers’ chart-toppers and significant songs from throughtout their career, plus 22 new recordings. 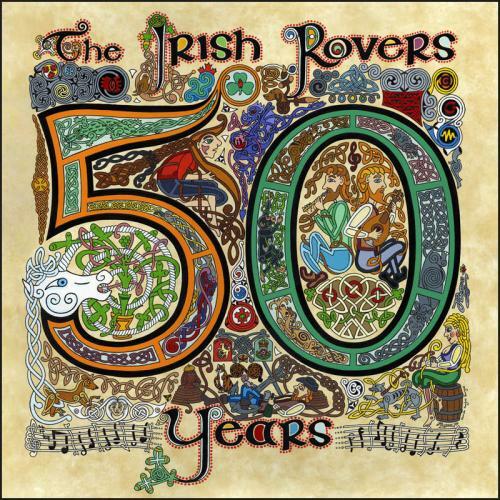 “As of this writing, the Irish Rovers have been travelling the world for close to fifty years and in fact, January 1st of 2015 will be our official 50th Anniversary. Different members have passed through our ranks over the years and all will be represented in this anthology. 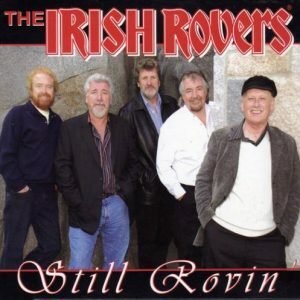 The twenty-eight page booklet which accompanies this CD pack contains lyrics to all the new songs, plus a history of The Irish Rovers with photos from throughtout the years. 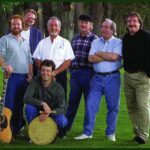 For additional details of the band, you can also refer to the cover artwork. 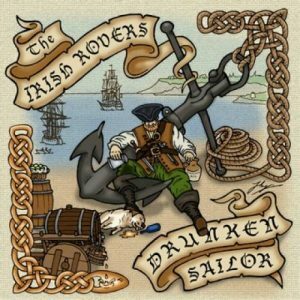 The commissioned piece is called “The Life of the Rover” and contains nearly 40 references to the band’s history and music. 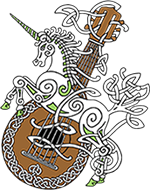 Hamish Douglas Burgess, the Celtic artist, who created the piece in the style of the Book of Kells, also hosts a Celtic radio show from Maui. The cover art is available as a poster from this website or as a giclee art print from the artist directly. Includes booklet with lyrics & 50 years of photos.